Who will NOT get into heaven? So…Someone loves you a lot! I wrote this a few years ago but it’s a prayer for now because I’m still very thankful for all God has done for me. God bless you all and have a blessed and happy Thanksgiving! Good day everyone. I want to share with you a poem I wrote on November 22, 2007. I’m not a poet and had never written a poem before….but this day… I was so grateful to have survived cancer and I was feeling very thankful for life when I wrote this. 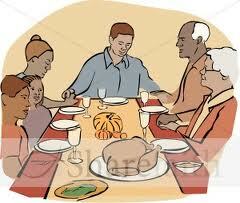 I cooked thanksgiving dinner and invited my family over. Before we ate our dinner…we prayed together like we always do…but afterwards I read this poem. It was very emotional for me and you know it…I cried and so did my family…..but they were tears of great thankfulness and joy. I pray my poem blesses you too. It all belongs to our God. I love God and I love my sister in Christ…you! Keep blogging for our wonderful Lord and Savior and sharing the truth of Gods word.